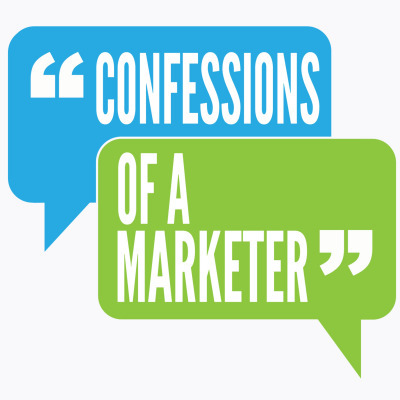 Started in October of 2017, Confessions of a Marketer was a long-gestating idea of host Mark Reed-Edwards (https://www.confessionsofamarketer.com/hosts/mre). As part of his marketing and branding business (Reed-Edwards Global (http://reed-edwards.com)), he talked with clients around the world about their marketing challenges--and he came up with solutions. He'd look for novel approaches, and would consult a long list of colleagues and friends. These discussions became more frequent, so he started to think he should commit some of them to his hard drive for posterity. Then he seized on the idea of sharing those discussions with a wider audience, and Confessions of a Marketer was born. Each episode (https://www.confessionsofamarketer.com/episodes) (mostly every week), Mark talks with a marketing leader (https://www.confessionsofamarketer.com/guests/) about the deepest challenges in our business. Luminaries (https://www.confessionsofamarketer.com/guests/) such as Beth Comstock (https://www.confessionsofamarketer.com/guests/comstock), Whitney Johnson (https://www.confessionsofamarketer.com/guests/whitney), Jacques van Niekerk (https://www.confessionsofamarketer.com/guests/jacques) and more have all shared their wisdom with Mark. Now in its second season, and covering everything across the marketing landscape--from brand to product to privacy, and everything in between--the podcast has become a must-listen for marketers around the world.